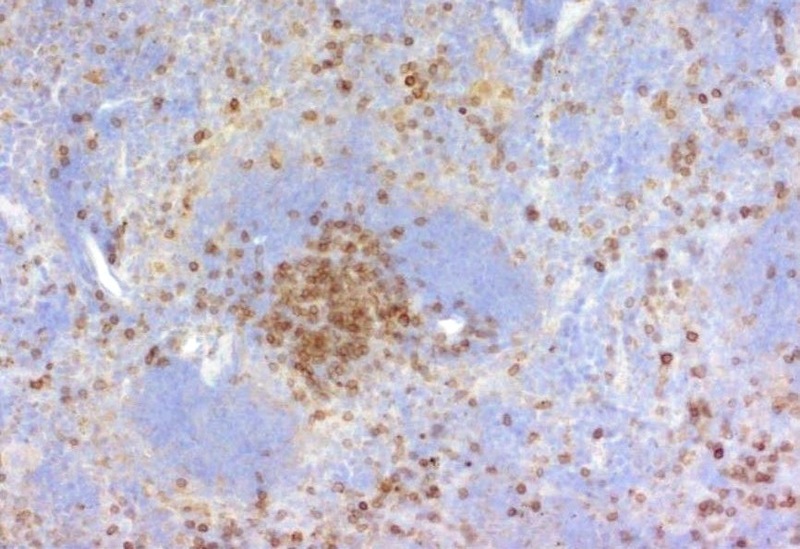 You have the choice: Rat clone HH3E or Rabbit monoclonal antibody. 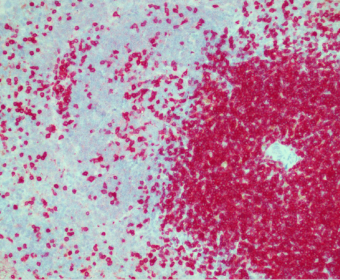 Rat monoclonal antibody HH3E and our purified Rabbit polyclonal antibody have been specifically validated for the detection of murine CD3 in formalin-fixed paraffin-embedded tissue sections (mouse FFPE). CD3 is a defining feature of cells belonging to the T cell lineage and can therefore be used as T cell marker. During T cell maturation the expression of CD3 migrates from the cytoplasm of pro-thymocytes to the cell-membrane of thymocytes. 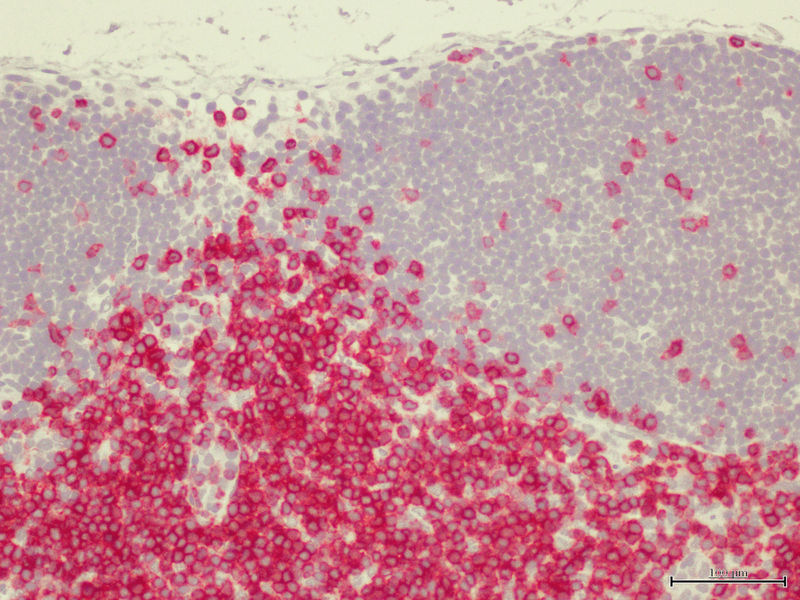 The specific appearance at all stages of T cell development make CD3 an ideal marker for normal T cells and T cell neoplasms (lymphomas, leukemias). 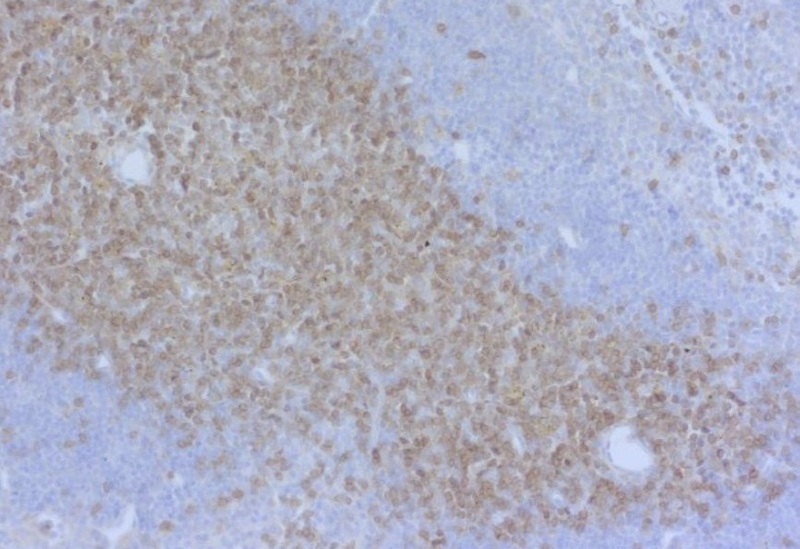 Moreover, CD3 is a usefull immunohistochemical marker for T cells in tissue sections. 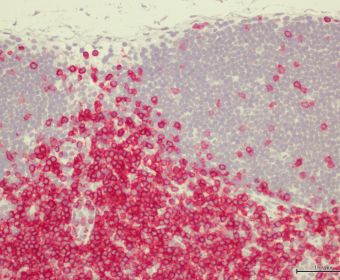 Immunhistochemistry of mouse CD3e with purified Rabbit polyclonal antibody in standard-FFPE tissue sections. 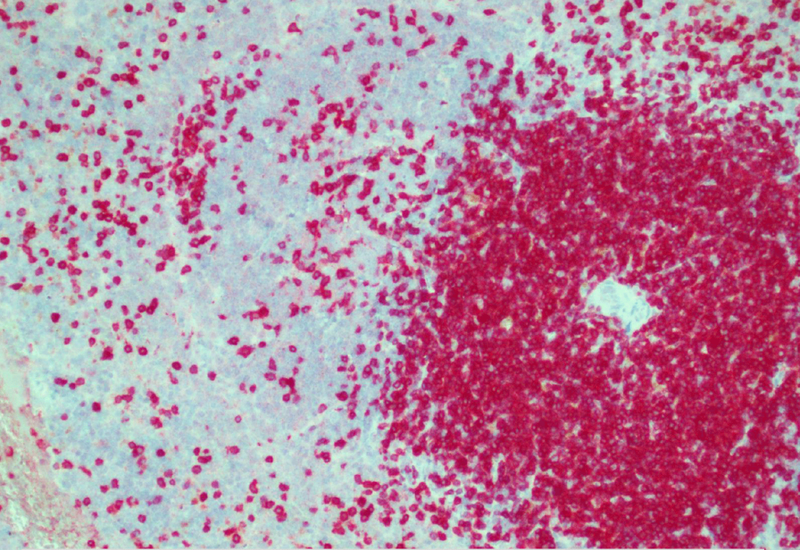 Immunhistochemistry of mouse CD3e with Rat clone HH3E in standard-FFPE tissue sections. 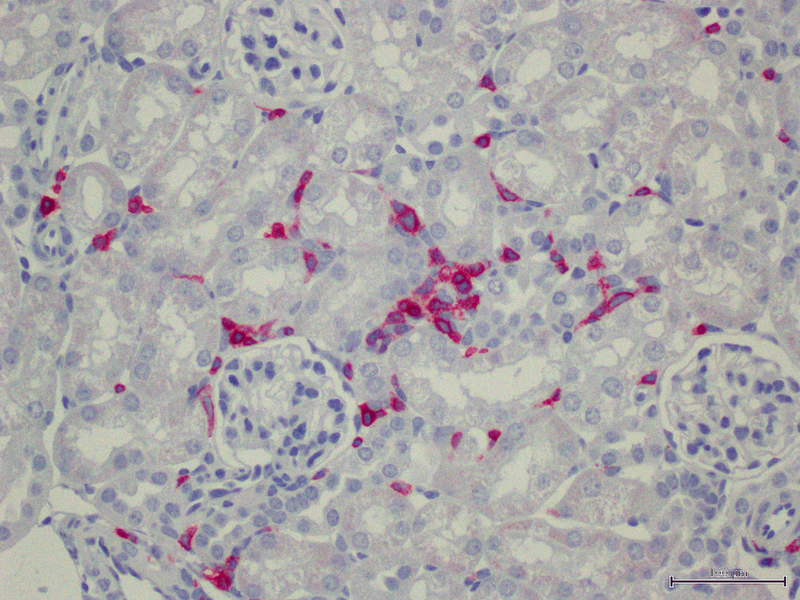 Validated for the detection of CD3 in mouse FFPE-tissue sections. 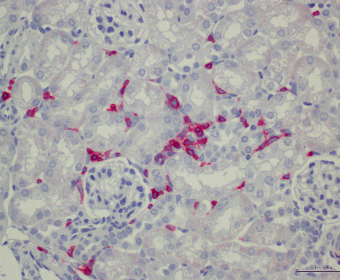 IHC-validated marker for Mouse Histology – Specifically developed for murine formalin-fixed and paraffin-embedded tissue (FFPE)!